Big-Mouth Clams are an excellent source of gold. They are super easy to farm and can contain all kinds of valuable pearls used by lots of different professions, making them not only valuable, but also fast sellers. Here's the best place to farm them in my opinion. Recommended level is 60+, but a higher level can one shot the monsters. 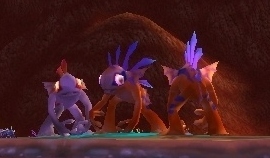 While Big-Mouth Clams are dropped in many zones, Blasted Lands is the best one! I posted a similar method some time ago that suggested to farm the turtles in Tanaris. While they drop a lot of clams also, this place is way better in my opinion. Not only are they spawning in a larger area, but there's also instant respawns! Bloodwash Gamblers spawn at these spots. The mobs you want to kill are the Bloodwash Naga in Blasted Lands. They spawn in the south-east beach next to friendly murlocs. There's a good 65% chance you will see a Big-Mouth Clam drop everytime you gank a naga. You may want to camp the Bloodwash Gamblers, as they respawn instantly usually. You can see their spawn points on the map. There's also one rare monster and 2 treasure chests next to some of the naga buildings, so keep your eye out. 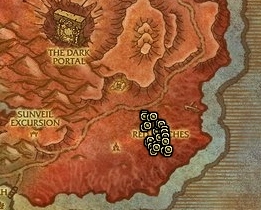 All blasted lands rares drop draenethyst fragments and spheres, and treasure chests may contain orbs of deception in this zone. Click on Loot Hunter on top of the page if you wish to see the exact locations. Some of the pearls, especially Iridescent ones have been selling like crazy lately, and their price is decent too most of the time. As someone who farms the zone for transmog items several times per day, this is terrific advice if you're already in the zone. You can sweep the zone for the rares, stop off and kill a dozen or two of these mobs and move on. With the portal to the zone in Stormwind (so convenient!) there's really no reason you wouldn't want to stop here for a little extra loot! As mentioned, some of those pearls are terrific sellers!